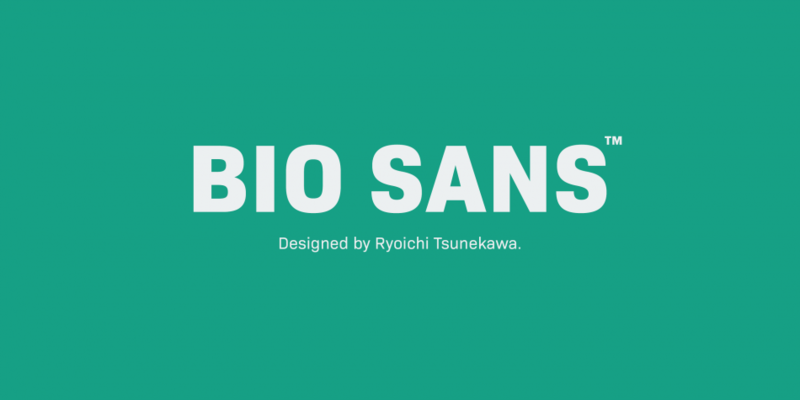 Bio Sans is a neutral text sans-serif font family family created by Ryoichi Tsunekawa and published by Dharma Type, his own font foundry is located in Nagoya, Japan. Featuring 6 weights from ExtraLight to ExtraBold and their matching Italics, Bio Sans is great everywhere a neutral, geometrically and sophisticated design is needed. Create a universal and readable design with Bio Sans! Trademark: ‘Bio Sans’ is a trademark of Dharma Type. A font description published on Monday, March 7th, 2016 in Dharma Type, Fonts, Ryoichi Tsunekawa by Andrei that has 3,665 views.